The 10th part of Enteng Kabisote is here! Starring the iconic Vic Sotto plus new characters that will make you giddy. 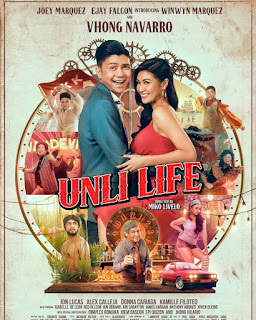 It was released last November 30, 2016, with the direction of Marlon N. Rivera and Tony Y. Reyes under APT Entertainment, OctoArts Films and M-Zet Productions. Having a 4.4 million php Box Office Hit on day one. Another chapter of Enteng Kabisote's life as a grandfather and owner of a robotic company. The story revolves when he started to be a good grandfather but his son Benok (Oyo Boy Sotto) misenterpreting this for meddling about how he raise his own son. Enteng tantrumed so he decided to travel to Bohol where he met Maine Mendoza and Alden Richard. 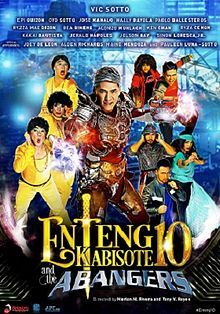 After so, Enteng encountered a villain named Kwak Kwak (Epi Quizon) who was a exiled from Encantasia alongside his minions. The Abangers, a group of street superheroes helped Enteng by giving him a powerful suit, thus defeating Kwak Kwak and his minions. Aftermath of the battle, Enteng reunited to his family and the Abangers lived on their own. It's a great family movie experience and be prepared to laugh with your love ones.